Hey everyone! Hannah here again! 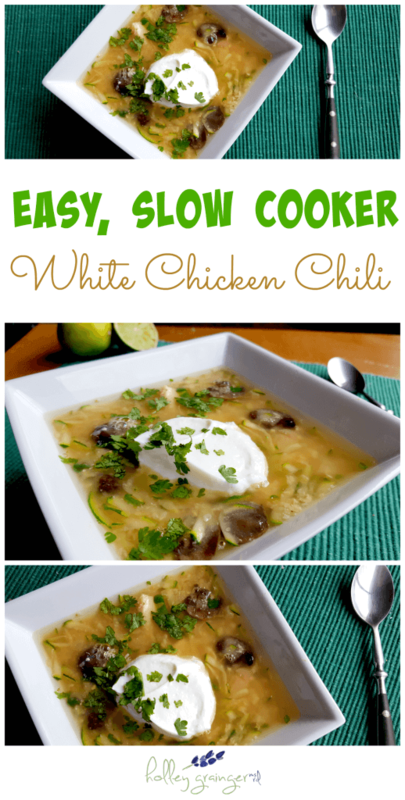 Today I am going to share with all of you a healthy take on a classic winter recipe: slow cooker white chicken chili. Chili is a staple in kitchens throughout the Midwest. We even have competitions and festivals dedicated to this steaming bowl of goodness! This is my healthy twist on traditional chili. You can also make it in the slow cooker, so you can set it and forget about it. 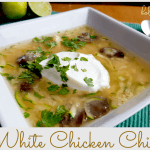 Here is a white chicken chili recipe that is the perfect for any chilly day. This chili is the perfect combination of spicy and fresh! You can also feel free to add more spice to amp up the heat. I call myself a “spice wuss,” so what sets my mouth on fire is nothing to most people. However, I got the confirmation from my boyfriend that this is pretty spicy. He loves jalapenos, so you can rest assured that the spice level is acceptable. BUT, I will not be offended if you feel this needs a bit more cayenne. This recipe gives you an added boost of nutrients from the zucchini, onions, and corn. You can also experiment with other white vegetables if you’d like, such as cauliflower or eggplant. The chicken also makes this chili lower in fat than traditional chili that calls for ground beef. Where I am from, it is a crime to eat chili without a dollop of sour cream or handfuls of cheese. You can get that same creamy flavor of sour cream from nonfat greek yogurt, with less fat and calories! 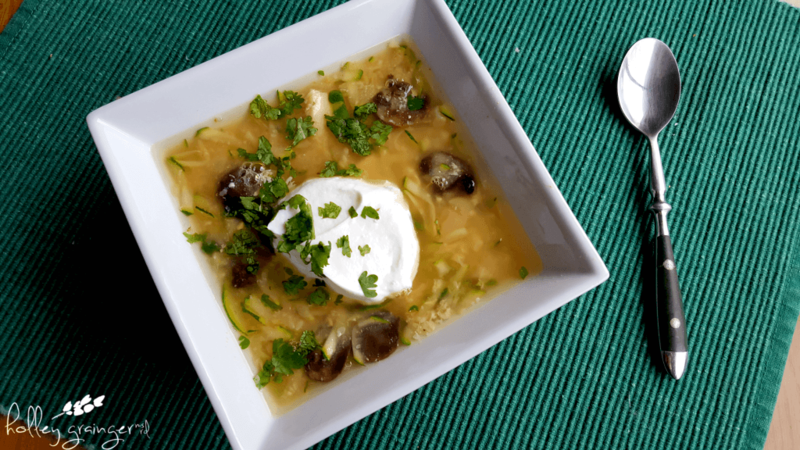 What is your favorite recipe on a chilly, winter day? 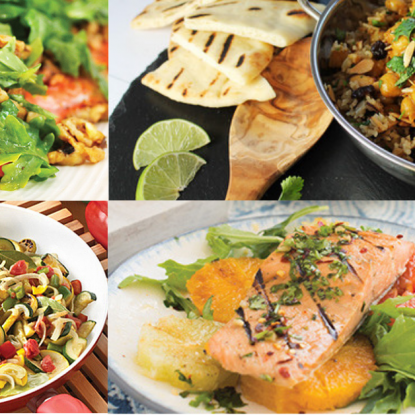 Want more healthy, slow cooker recipes? Check out Holley’s board on Pinterest! 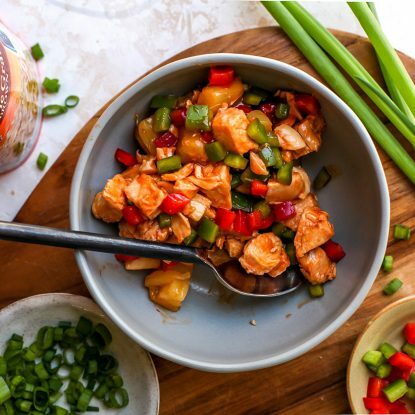 Visit Holley Grainger’s Healthy Slow Cooker Recipes board on Pinterest. Put chicken broth, diced chicken, white corn, great northern beans, mushrooms, onions, cumin, paprika, oregano, coriander, cayenne pepper, salt, and pepper in slow cooker. Cook on high for 3 hours or low for 5 hours. Add zucchini and lime juice to slow cooker. Cook for additional 30 minutes. 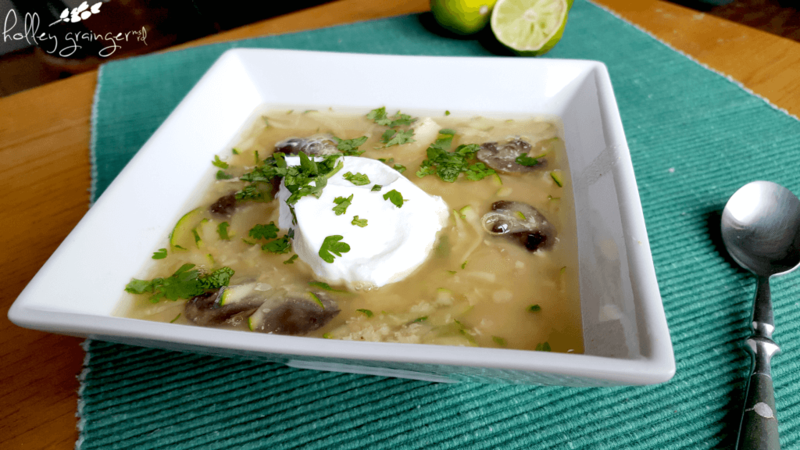 Add cilantro and scoop into bowls. 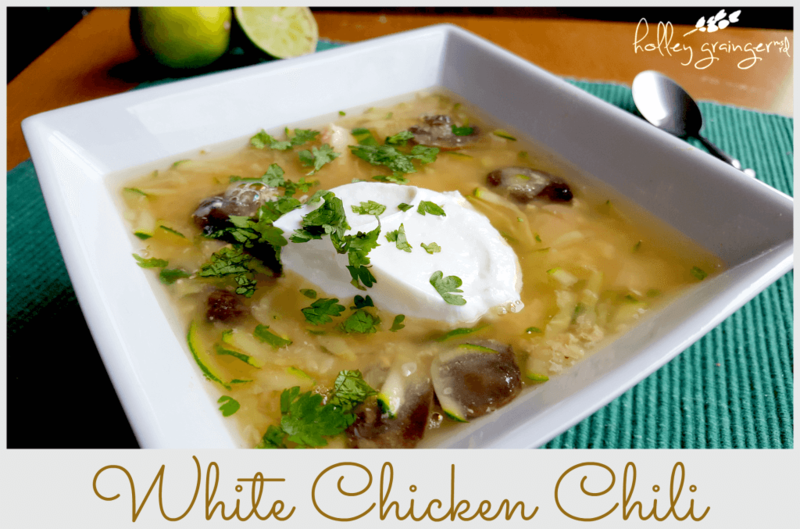 Top with greek yogurt and additional cilantro (if desired), and serve. Here is a chili recipe that is super-packed with vegetables and spice that will warm you on a chilly winter night. This looks amazing! 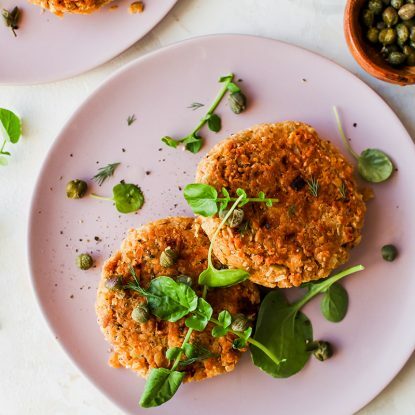 I love that you added so many veggies to this recipe. I am a chili lover (just had some leftover for lunch!) so I know I would love this!! This looks great! This may be a silly question, but do you drain the canned items or include their juices in the recipe? Thanks! Not silly at all! I usually drain them but we need to clarify in this recipe. Thanks for asking!